I have been wanting a fitness tracker for a while now to help me on my weight loss journey. I already have a Fitbit Aria scale so I decided to go with a Fitbit tracker as well. After a long wait for their new product line to come out for 2016 I decided to purchase the Fitbit Alta. The Fibit Aria tracks your sleep, calories, and even your water intake. I was surprised on how many times I woke up in the middle of the night after using this app. It counts how long you have slept in addition to how many times you were restless. You can view your calls and text messages all from the OLED screen on the watch. Two of the features that are not included from the previous models are the heart tracker and the floors walked feature. These were omitted to allow the sleeker design and larger OLED screen. What I truly love about this product is the reminder to move feature. I work in an office all day and have been prisoner to just sitting in my chair all day on conference calls. With this feature it will remind you to take 250 steps each hour to ensure you are moving during the day. You can change the settings to also meet your normal work schedule as well. In addition to the remind to move option this product comes with SmartTrack which automatically tracks your workouts and activity level without you having to enter anything in the app. I take a walk around our park twice a day and it also counts towards my active minutes. 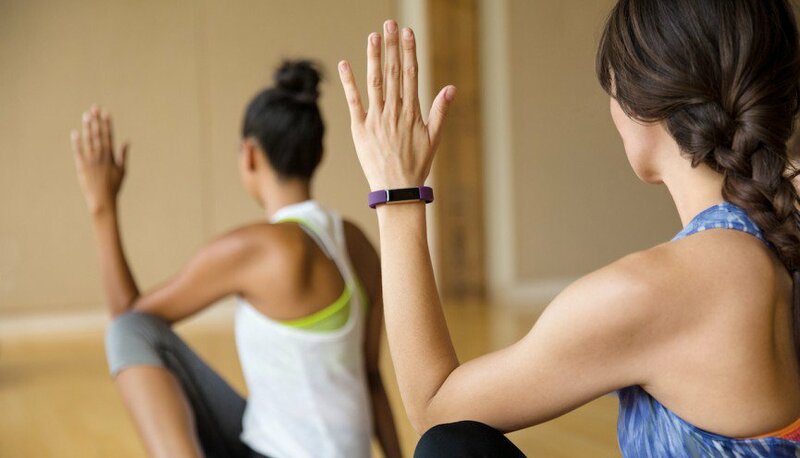 You also have the ability to add friends who use a FitBit and participate in challenges. The challenges alone are one of the most motivating features of the app which gets you to work out more in order to beat your friends or co-workers. One of the cons to this feature is that you cannot create your own challenge goals like the Nike+ app. I can definitely see a difference in my workouts after using this tracker. I went from working out only once a week to now 3-4 times a week. The Fitbit Aria retails at $129.95 on their website or you can click below to find a better deal on Amazon. Do any of you have a Fitbit Alta? If so comment below on your experience.